New term…. New series of Design Sprints! Do you want to become more employable by demonstrating you have experience applying 21st century skills? Are you an entrepreneur – or an entrepreneur in the making- who wants to develop a business idea? 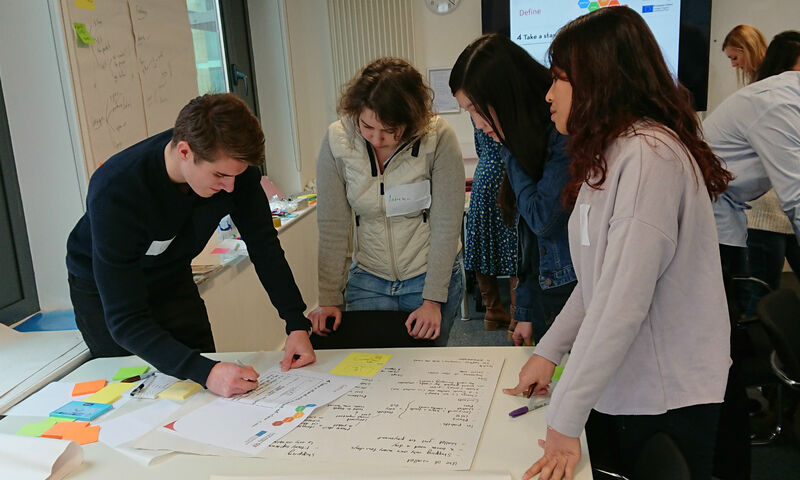 Join our Design Thinking Sprints this term and gain experience of applying Design Thinking to a real project. Design thinking is an approach to innovation that is sought after by employers and invaluable for entrepreneurs. It transforms the way you approach the world when imagining and creating new solutions for the future, based on empathy, collaboration and experimentation. Design Thinking is relevant to all as a life skill and transferable as an approach within many contexts, disciplines and organisations. Whether you are just looking for a new way to enhance your creativity, innovation, collaboration and communication skills or are interested in becoming a more innovative and systematic entrepreneur, this series of Wednesday afternoon workshops are not to be missed! You will learn the fundamentals of Design Thinking and gain hands-on experience of applying it to real world problems. Below is an overview of the three sprint sessions including links to sign up through Target Connect. Don’t worry if you are unable to attend all three sessions, each can be attended as a standalone session too. The first session takes place next Wednesday, 25th of April, please sign up through Target Connect. In the first session we will go through a quick design cycle to get you familiarised with Design Thinking and shape a challenge to focus on in rest of the sessions. Don’t worry if you don’t have an idea or if you are uncertain about joining future sessions. This session can be attended as a stand-alone as well. Ideation, looking at techniques that are used to visualize, brainstorm and evaluate ideas in order to reach a viable choice. In the third session we will introduce the benefits of prototyping and focus on common approaches to prototyping in Design Thinking. 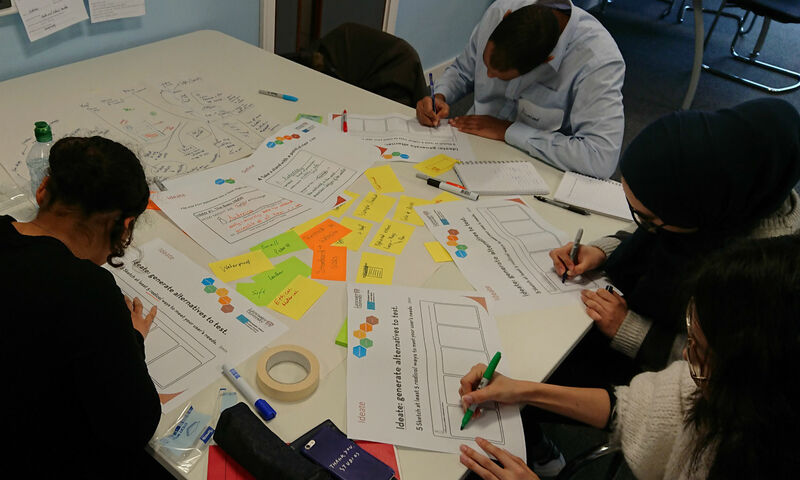 You can read more about the Design Thinking process through our account of a previous workshop, but better still… just come along and try it out! Dan Ghita is a current Management student, developing a new business based around cycling holidays in Eastern Europe. Dan will be joining us for a session to share his personal entrepreneurial story, talk about the power of storytelling, importance of not following the crowd and how to generate business ideas. Come along to find inspiration and advice for your own venture and ask Dan any questions. Interested in freelancing in the Arts after graduation? Join this panel event for LICA students – come and listen to Lancaster University graduates of Art, Design and LICA subjects talk about their jobs and the routes they took to get their dream job. Find out more about working in the arts, media, freelance work and portfolio working. Inspiration – looking at research methods that are used in Design Thinking to unpack a problem space. Ideation – looking at techniques that are used to visualize, brainstorm and evaluate ideas in order to reach a viable choice. Don’t worry about having attended the last session – each session can be attended as a stand-alone as well. Thrive is a new social accelerator run by UnLtd, aimed at supporting ambitious social ventures to scale. For their first cohort, Thrive are looking for ventures with the aim of improving access to employment for those distant from the labour market. Cathryn Chrimes from UnLtd will be coming in to potential applicants, so if you would be interested in finding out please come along. 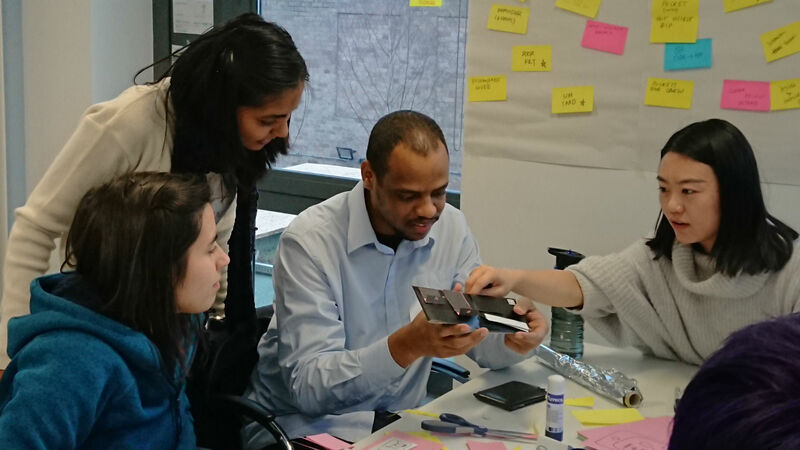 Join our Design Thinking Sprints this March and gain experience of applying Design Thinking to a real project. Design thinking is an approach to innovation that is sought after by employers and invaluable for entrepreneurs. It transforms the way you approach the world when imagining and creating new solutions for the future, based on empathy, collaboration and experimentation. These 21st century skills will help you futureproof your career or be a more innovative and systematic entrepreneur. In this workshop you will learn the fundamentals of Design Thinking and gain hands-on experience of applying Design Thinking on real world problems. This session contributes towards the Enterprise Centre Commercial awareness certification as well as the Lancaster Award. Book a place on this session through Target Connect. To find out a bit more about what Design Thinking is all about, read our account from our last introductory workshop here. Please also feel free to email the Enterprise Team for further details. 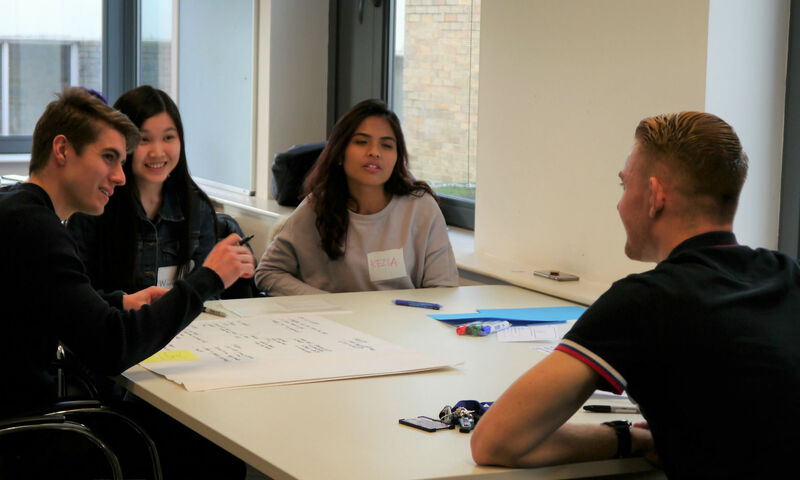 On the 31st of January 2018, 13 students from a range of disciplines and areas of study gathered in a room in the FASS building for an exciting session, led by Amanda Brooks of the Enterprise Team. Inspired by her trip to Stanford University’s d.school and the Crash-course in Design Thinking hosted by Humera Fasihuddin from the d.school last year, Amanda was excited to lead her own Design Thinking session. 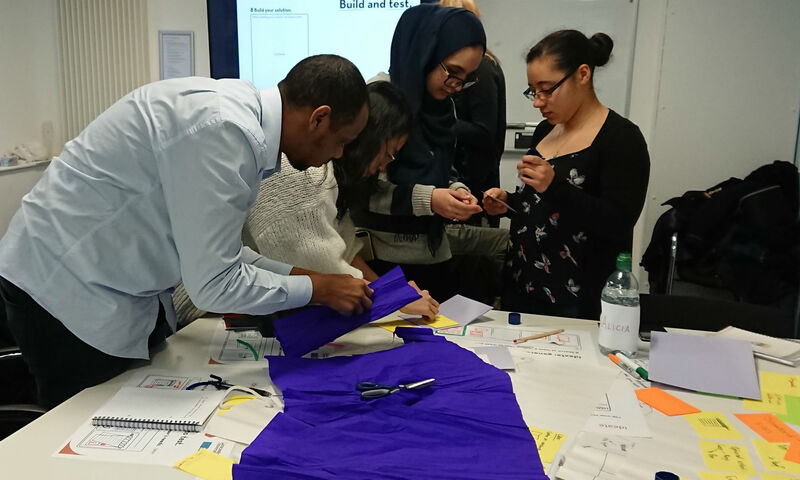 The aim of the session was to help students try out a human-centred design approach to problem-solving, whilst developing their 21st century skills – creativity, innovation, collaboration and communication. Human-centred design is a creative approach to problem solving. It’s a process that starts with the people you’re designing for and ends with new solutions, tailor-made to suit their needs. It involves a five step process – the students worked through each stage to design a wallet for a member of another team. 1. Empathize. The process begins with empathy – understanding what the customer’s needs are. This was done through interviewing the customer, first on a broad level and then digging deeper to fully understand their requirements. 2. Define. This stages involves making sense of what was learnt from the interview and identifying opportunities for design. Teams identified the goals and wishes of the customer and then worked to re-frame the problem into a point-of-view statement. 3. Ideate. This stage involved many a post-it notes and free flow of ideas relating to the design of the wallet. Following the free flow of all kinds of ideas, teams sketched out a few potential solutions. 4. Prototype. This stage began by presenting initial designs to the customer for feedback. Then, armed with tinfoil, card, pipe cleaners, glue etc., the teams set about creating a prototype solution. 5. Test. Time to present the prototype to the customer and take on their feedback, has it met their needs? To see all of the photos, please visit our Facebook page. To find out more about Human Centred Design, check out this short video on IDEO’s website which gives a great overview. 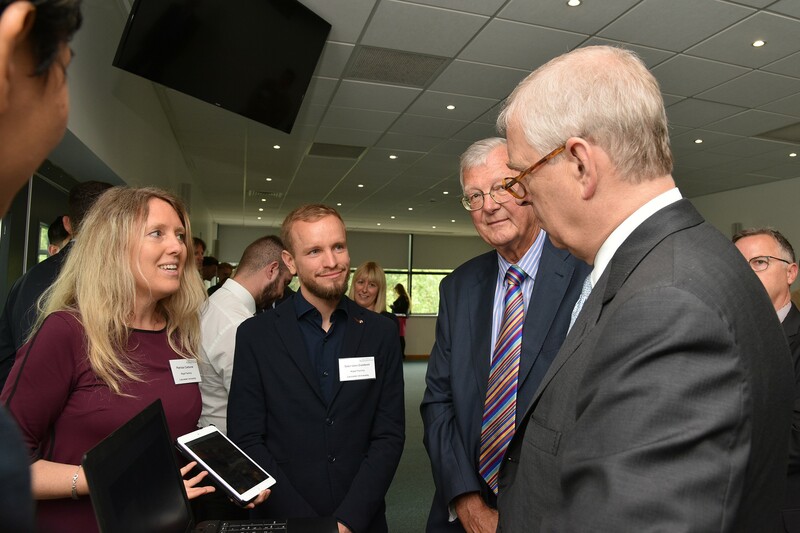 The Enterprise Team are will be hosting more sessions like this in the future – so keep your eyes on our website, social media and newsletter! As more employers call for graduates with 21st century skills like creativity, innovation, collaboration and communication, we’re testing new ways for you to actively learn these competencies with fellow students from all disciplines. Design thinking is relevant to all as a life skill and is transferable potentially in all contexts, disciplines and organisations. 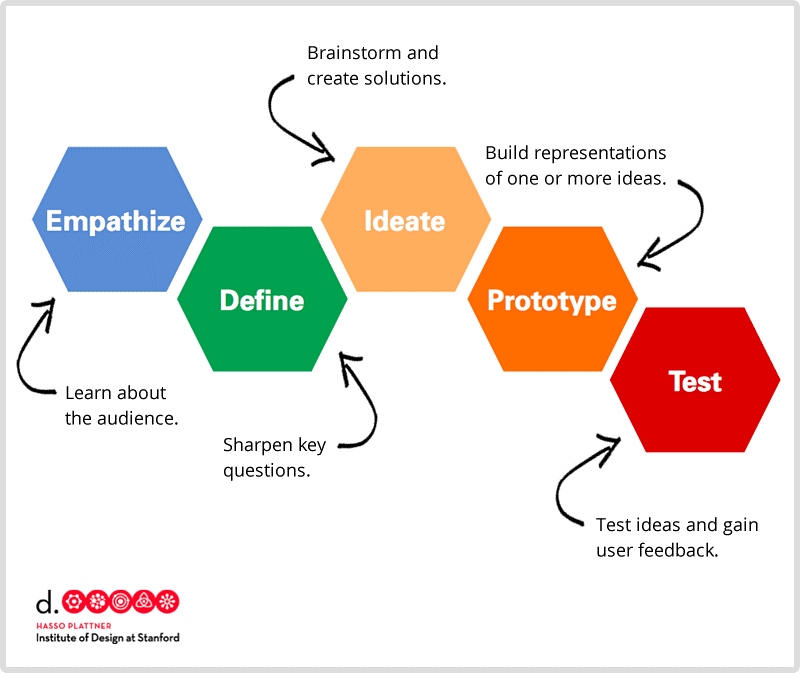 Human-centered design is a creative approach to problem solving. It’s a process that starts with the people you’re designing for and ends with new solutions that are tailor made to suit their needs. Human-centered design is all about building a deep empathy with the people you’re designing for; generating tons of ideas; building simple prototypes; sharing what you’ve made with the people you’re designing for; and eventually putting your innovative new solution out in the world. Human-centered design consists of four phases. In the Empathy Phase you’ll learn directly from the people you’re designing for as you immerse yourself in their lives and come to deeply understand their needs. In the Define Phase you’ll make sense of what you learned and identify opportunities for design. In the Ideation Phase you’ll learn to generate loads of ideas and build possible solutions in the Prototype Phase. With your prototype developed you bring your solution to life to test in the Test Phase with real users or customers for Iteration or Launch! Anyone can learn and apply Human Centred Design to any challenge to find innovative solutions. It’s a valuable life skill and a process for collaborative problem solving. The Enterprise Team will be hosting a short taster session allowing you to experience the process of human centred design. For more details and to register, visit the event on Target Connect. You can also check out the Facebook photos from the Design Challenge we ran last academic year in collaboration with and to learn from Stanford d.School’s University Innovation Fellows Programme. Innovation foundation Nesta have made some predictions for the coming year in terms of tech breakthroughs and social movements. Predictions include drones delivering public benefit, Artificial Intelligence creating prize winning art, the internet going green, tech giants racing to buy a healthcare provider and the increased use of complex simulation methods to experiment with new ideas. You can read the full article on Nesta’s website.